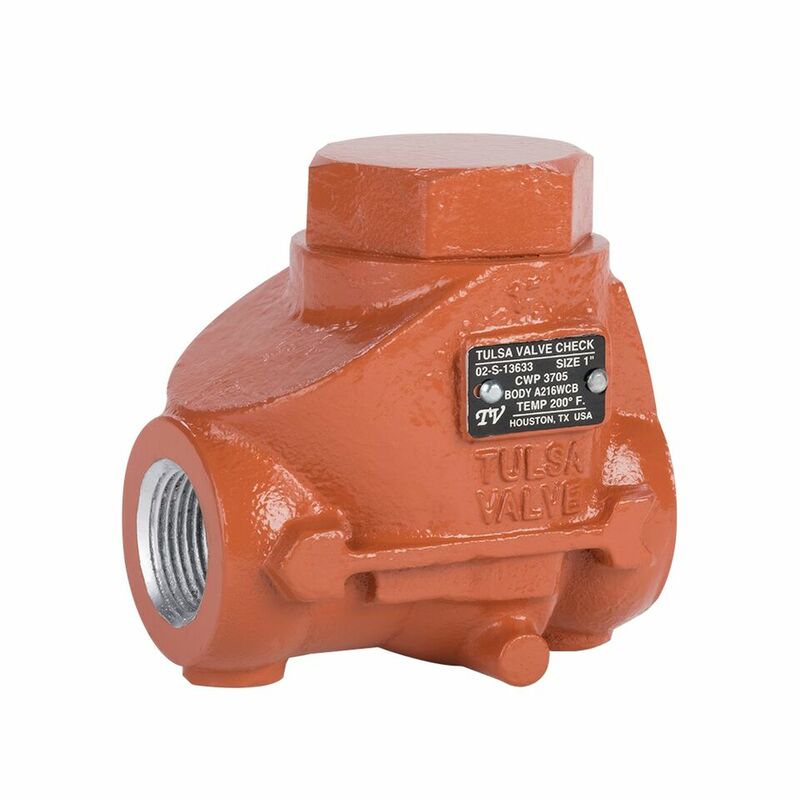 Threaded Swing Check Valves are available in ductile iron or carbon steel. They provide the oil patch with a dependable, trouble-free, quality check valve. All of our Threaded Swing Check valves conform to NACE MR0175 requirements to meet your corrosive service needs. 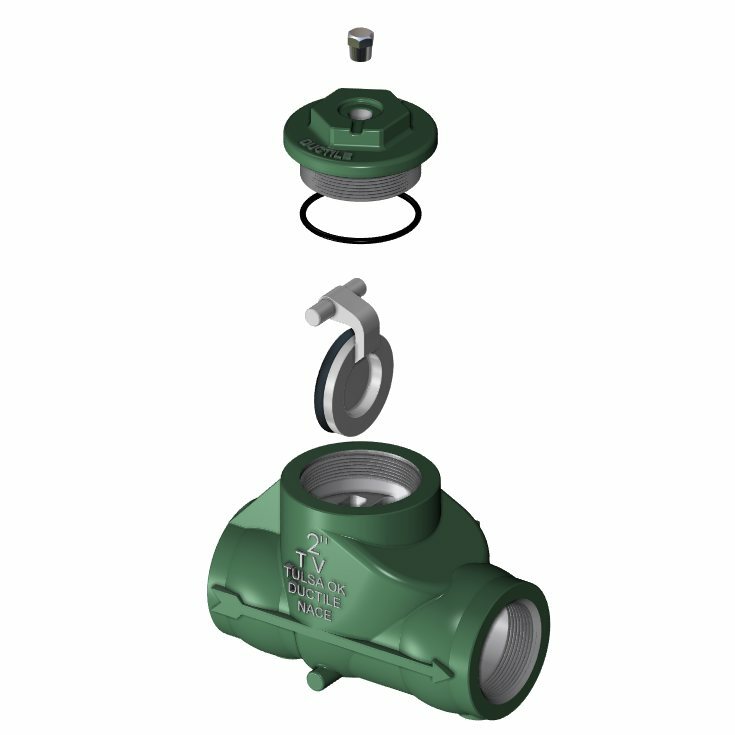 Downtime and maintenance are minimized by utilizing this check valve.